Why use multicultural literature in the classroom? 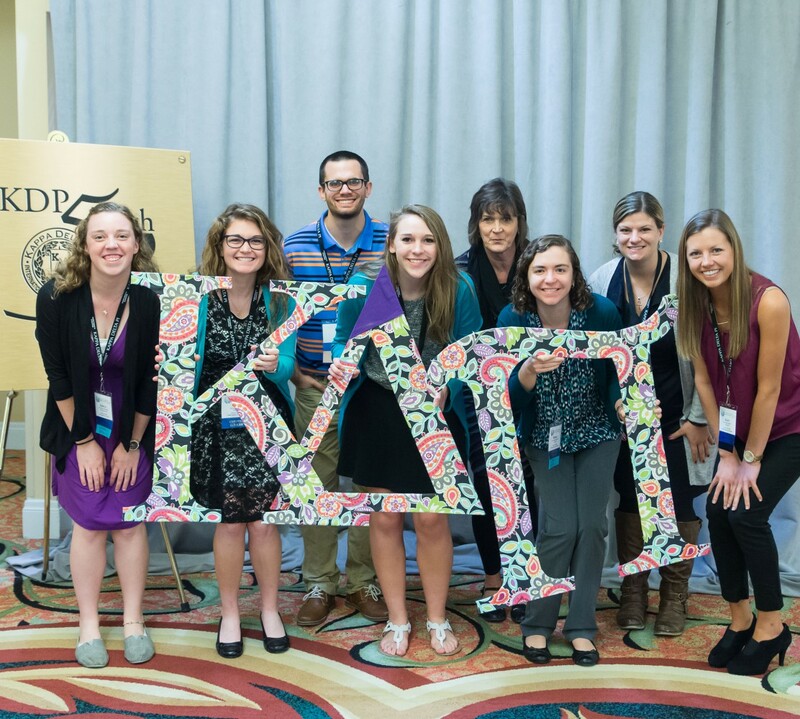 Kappa Delta Pi occasionally seeks contributions from experts in the field of education. The views expressed here do not necessarily reflect the views of Kappa Delta Pi, International Honor Society in Education. (INDIANAPOLIS)—Kappa Delta Pi (KDP), International Honor Society in Education, is partnering with CourseNetworking (CN), an innovative Indianapolis-based technology company in education, to draw on the Society’s rich legacy of high standards and excellence to support the professional growth and retention of new teachers. Beginning teachers have high turnover rates that cost schools billions of dollars each year. One effective way to combat the revolving door of teachers and its negative effects on schools and students is to offer new teachers professional development. Dr. Richard Ingersoll, a prominent researcher and member of KDP’s esteemed Laureate Chapter, shared, “Somewhere between 40 and 50 percent of those that go into teaching are gone within 5 years.” KDP is perfectly positioned to address the needs of beginning teachers, as the organization has a presence on the campuses of more than 650 institutions nationwide, helping to graduate nearly 10,000 education students into the profession each year. Beginning in fall 2018, KDP will offer new opportunities for educators to expand their knowledge and skills through online learning as well as to establish a permanent eportfolio. A selection of courses, which will be both affordable and convenient, will help teachers develop competencies that can be applied immediately in their classrooms. After successfully proving their competencies in each course, teachers will earn micro-credentials in the form of official badges, and have an opportunity to earn certificates they can use as proof of their skills, as continuing education, and as evidence of these accomplishments on their eportfolio. Among the initial topics for P–12 teachers will be areas that KDP research has identified to be the most challenging for new teachers. The majority of the course offerings will be asynchronous, with learner engagement both independently and within an online community. Though the initial offerings will be geared toward practicing P–12 educators, KDP plans to leverage its innovative model to address all three major focus areas of the Society’s current strategic vision, which are to (1) Recruit qualified candidates into the profession, (2) Support and enhance quality preparation of teachers, and (3) Retain effective teachers—particularly in high needs areas. The projected timeline will make the courses and eportfolio available to KDP members and other educators prior to the Society’s 52nd Convocation, to be held in Indianapolis, IN from Wednesday, October 31 through Saturday, November 3, 2018. This year’s Convocation, themed ”Designing the Future,” will feature a cutting-edge experience where all attendees of all generations and experience levels not only gain knowledge and strategies, but also collaborate to design a future that is sustainable, equitable, and promising for ALL learners. For more information about the eportfolio, please visit http://www.thecn.com/eportfolio, and for more information about KDP, please visit http://www.kdp.org. You can view the official press release here. Kappa Delta Pi (KDP), International Honor Society in Education, was founded in 1911 at the University of Illinois to foster excellence in education and promote fellowship among those dedicated to teaching. As a professional membership association and international honor society in education, KDP provides programs, services, and resources to its member educators to support and enhance their professional growth—all in an effort to advance quality education for all and to inspire teachers to prepare all learners for future challenges. With more than 650 active chapters and nearly 40,000 active members, the organization has seen great accomplishments and milestones in its 107-year history and is looking forward to a future where all children receive a quality education. CourseNetworking (CN) has a unique, next-generation technology solution for the education Industry supported by many years of thinking and research invested prior to the commercialization of the product. Built on a global education platform, the CN Suite offers a comprehensive Learning Management System (LMS), Social Portfolio, Global Academic Social Network, and Badging, as well as other social collaboration functionalities to transform teaching and learning. The CN was built to ensure that teaching and learning opportunities are available for everyone, anywhere in the world, at any time, through the web or the mobile app. The CN also provides a full turnkey solution for system implementation in institutions. The CN is the fourth major research and entrepreneurial project of the IUPUI CyberLab. The CourseNetworking LLC was created by a capital investment from Indiana University and Ali Jafari in 2011. Today’s blogger is Kathryn Strom, California State University, whose essay (co-authored with Tamara Lucas, Meghan Bratkovich, and Jennifer Wnuk) on professional development opportunities on ELL for inservice teachers appears in The Educational Forum. Recently, I attended a superintendent “Listening Forum” with executive leaders serving districts in the East Bay of San Francisco. One superintendent, who headed a district with a large migrant worker population, described observing a downward trend in attendance across her district among specific groups. Latino students and, in smaller numbers, other groups of immigrant populations, were not coming to school. When she and her team spoke to principals, teachers, and parents to find out what was happening, they were told that undocumented families were avoiding their public schools due to fears of U.S. Immigrations and Customs Enforcement (ICE) arrests, which had risen in 2017. In response to this story, several other superintendents shared that they were grappling with racially charged speech and acts toward the same groups of students. While these types of incidents had occurred in the past in their districts, the superintendents collectively agreed that since the election of Donald Trump as President of the United States, they had skyrocketed. These stories reflect a national trend. In the month after the 2016 election, the Southern Poverty Law Center (2016) conducted a survey of more than 10,000 teachers. More than 90% reported a negative impact on their school climate, and 80% said their historically underserved students exhibited heightened anxiety. While we might like to pretend that education is solely about the enterprise of learning and is unaffected by what is happening outside the classroom, stories like these demonstrate that it is not. Our educational systems, curricula, and classroom pedagogies are not somehow separate from the rest of the world, nor are they neutral. They are shaped by multiple external factors, including historical conditions, policy makers with specific political agendas, and current societal trends. Schooling and teaching are profoundly political, and perhaps nowhere is that more visible than in the education of multilingual learners, also known as “emergent bilinguals” or “English language learners” (ELLs). As Lucas and Villegas (2011) detailed in their Linguistically Responsive Teaching Framework, the teaching of multilingual learners has important historical and sociopolitical dimensions that teachers need to understand to effectively educate these students. For instance, the United States has long valued English over other languages. This has resulted in multilingual students having limited access to dual-language or bilingual programs, and has led several states to mandate that multilingual learners would be taught exclusively in English—policies that contradict a large body of research on quality second-language instruction. Furthermore, teachers of multilingual learners need to understand their own possible biases and how these may translate into low expectations or deficit views of their linguistically diverse students—which, in turn, may influence their instructional decisions and interactions with these students. Many initial teacher preparation programs in the United States now offer at least some coursework focused on instruction for multilingual learners. However, as shown in the recent review of literature regarding preservice preparation for second-language learner instruction by Villegas, SaizdeLaMora, Martin, and Mills (2018), most programs do not offer sufficient experiences to develop “sociopolitical consciousness,” or understanding of how social and political issues affect the education of multilingual learners. Similarly, in Lucas, Strom, Bratkovich, and Wnuk’s (2018) recent review of professional development opportunities for teachers of multilingual learners, the researchers found little evidence that inservice teachers engaged in learning aimed at increasing their understanding of how the current political context, societal divisions, and their own deep-set beliefs about language and diversity may influence the learning of their multilingual students. As a country, we are more polarized than perhaps at any other time in recent memory. Already a politically fraught area in education, the instruction of multilingual learners is being further affected by the mainstreaming of xenophobia as part of an ethno-nationalist presidential administration. Across the professional continuum, teacher candidates, beginning teachers, and veteran teachers need learning opportunities not just about quality instructional practices; they also need sustained opportunities that explicitly address how the political climate and potentially their own internalized understandings of language and second-language learners impact their multilingual students. KDP is proud to partner with Routledge to share Kathryn Strom’s essay with the education community. Access the article at Taylor and Francis Online, free through May 31, 2018. Lucas, T., Strom, K., Bratkovich, M., & Wnuk, J. (2018). Inservice preparation for mainstream teachers of English language learners: A review of empirical literature. The Educational Forum, 82(2), 156–173. Lucas, T., & Villegas, A. M. (2011). A framework for preparing linguistically responsive teachers. In T. Lucas (Ed. ), Teacher preparation for linguistically diverse classrooms: A resource for teacher educators (pp. 55–72). New York, NY: Routledge. Villegas, A. M., SaizdeLaMora, K., Martin, A. D., & Mills, T. (2018). Preparing future mainstream teachers to teach English language learners: A review of the empirical literature. The Educational Forum, 82(2), 138–155. Today’s blogger is Adrian D. Martin, New Jersey City University, whose essay (co-authored with Ana Maria Villegas, Kit SaizdeLaMora, and Tammy Mills) on preparing future teachers to teach ELLs appears in The Educational Forum. In many respects Cecilia is a typical third grader. She enjoys spending time with her friends, loves her family, and dreams about the possibilities for her future. Cecilia’s favorite class is art, where she creates masterpieces with watercolors, paints, brushes, scissors, glitter, and glue to adorn her bedroom walls. She hopes to one day become an art teacher and inspire boys and girls to create masterpieces of their own. Yet in September 2017, her hometown of Corozal, Puerto Rico, experienced the widespread destruction and devastation of Hurricane Maria. Although Cecilia and her immediate family survived this tragedy, their home and her school suffered significant damage. As a result, Cecilia’s family decided that it would be best to leave Puerto Rico and live with relatives on the mainland United States. The challenges of this major transition were compounded when Cecilia enrolled in her new school in Cleveland, Ohio. Although she had some instruction in English as a second language while in Corozal, Cecilia struggled to understand Ms. Williams, her new teacher; and as the only speaker of Spanish in her class, she experienced difficulty in communicating with her new peers. For Ms. Williams, teaching Cecilia was challenging. Like many mainstream teachers, Ms. Williams was a monolingual speaker of English and lacked professional experience with linguistically diverse students. Because Ms. Williams had never studied a second language, she had no personal insight into Cecilia’s experience learning English as a second language. Without preservice preparation or ongoing professional learning experiences to teach English language learners (ELLs), Ms. Williams struggled to identify ways she might aid Cecilia’s academic progress while simultaneously advancing her English language development. Given the increasing number of students who speak a language other than English at home and are emergent speakers of English, along with the trend to place ELLs in mainstream classrooms, it is imperative for teacher educators to develop a teaching workforce that possesses the knowledge, skills, and dispositions conducive to the affirmative inclusion of ELLs in mainstream classes. Unfortunately, research suggests that ELLs are often marginalized in schools and classrooms, and that many mainstream teachers, despite best intentions, are unresponsive to these students’ academic, linguistic, and socio-emotional development. From a social justice perspective, such an approach to educating ELLs is not only negligent, but also antithetical to the aims of education in our democracy. Yet despite this urgent problem, little is known about ongoing initiatives within preservice teacher education to promote teacher learning for linguistically diverse students. To address this knowledge gap, the article I co-authored with Ana Maria Villegas, Kit Saiz de la Mora, and Tammy Mills on the preparation of future mainstream teachers for today’s linguistically diverse classrooms offers a systematic review of existing research on this topic. Our critical appraisal of the empirical literature published since 2000 synthesizes the findings from 21 studies to identify the nature and outcomes of learning experiences provided to preservice teachers for teaching ELLs. Using the central tasks for learning to teach at the preservice level proposed by Sharon Feiman-Nemser to guide our analysis, we identified a variety of learning activities teacher educators are using to engage preservice mainstream teachers in learning to teach ELLs. Specifically, the review paints a detailed portrait of how teacher educators can help teacher candidates interrogate their beliefs about ELLs and how to teach them, develop their skills for learning about these students’ out-of-school experiences, and build their practices as linguistically responsive teachers. To be sure, had Ms. Williams—and other teachers like her—been provided with professional preparation to teach ELLs along the lines depicted in the studies we reviewed, she would likely feel confident in her ability to support Cecilia in learning academic content while developing English language skills. Struggles to determine how to modify instruction, scaffold classroom activities, and promote a linguistically inclusive classroom would have been mitigated by professional knowledge, skills, and dispositions to engage in a linguistically responsive, affirmative, and sustainable pedagogy. Thus, our literature review serves as an entry point for teacher educators, education researchers, professional development providers, and other stakeholders in the field of education committed to supporting students like Cecilia, who struggle in schools due to linguistic differences. KDP is proud to partner with Routledge to share Adrian D. Martin’s essay with the education community. Access the article at Taylor and Francis Online, free through April 30, 2018. It is with great pleasure that we announce the top projects from the 2015-2016 review cycle. 2015-2016 proved to be another awesome year for Literacy Alive! with more than 100 projects submitted, 35,444 people served, and 26,631 books were collected for distribution globally! To learn how you can participate in the 2016-2017 review cycle, and read a summary of each of the Gold Project award winners, visit the Literacy Alive! homepage on the KDP website. Catherine Gonzalez is an Elementary and Special Education double major with Social and Behavioral Sciences with a minor in Psychology at Seton Hall University (SHU). She is currently the Vice President of Kappa Delta Pi, Xi Gamma Chapter at SHU. The program I spearheaded was Children of Unauthorized Immigrants, which involved four panelists all with backgrounds in the social sciences and teaching students of unauthorized immigrants. One panelist also spoke from firsthand experience, as a woman who went through school while being undocumented. During this program, the Seton Hall community got the chance to explore a world that they likely hadn’t put a lot of thought into before now. Students and faculty alike got the chance to step into the metaphorical shoes of people in this country who face struggles and experiences many of us never have to even consider. It was a chance to catch a glimpse into the firsthand experience of those who come to this country with nothing for the small possibility of building a better life. When the idea of this program was brought up, I instantly felt drawn towards it. I was involved in this program because I felt it would spark an important conversation, on a topic that isn’t often spoken about. During this presidential election, the conversation of immigration itself has been a hot topic. With negative and hateful views becoming more publicized and growing in number, we felt as an organization that the best way to combat this would be through providing information. Ignorance is usually based in misunderstanding and missing information, so we thought to combat that in the way we knew best: educating others. As a first-generation American and college student, this was something that was very near to me, through my personal experience of seeing people go through similar issues. I was pleased to find that, when working with advisors and other students, they shared my opinion of the importance of discussions on this topic. These discussions led to further conversations on topics that many students who are going into teaching or becoming professionals that work with children hadn’t really thought about before. Kappa Delta Pi instills in its members the values of knowledge, duty and power. This discussion of teaching children of unauthorized immigrants and what we as educators and other professionals can do is important as it emerges into the core values that Kappa Delta Pi stands for, and that we as future educators strive to reach. 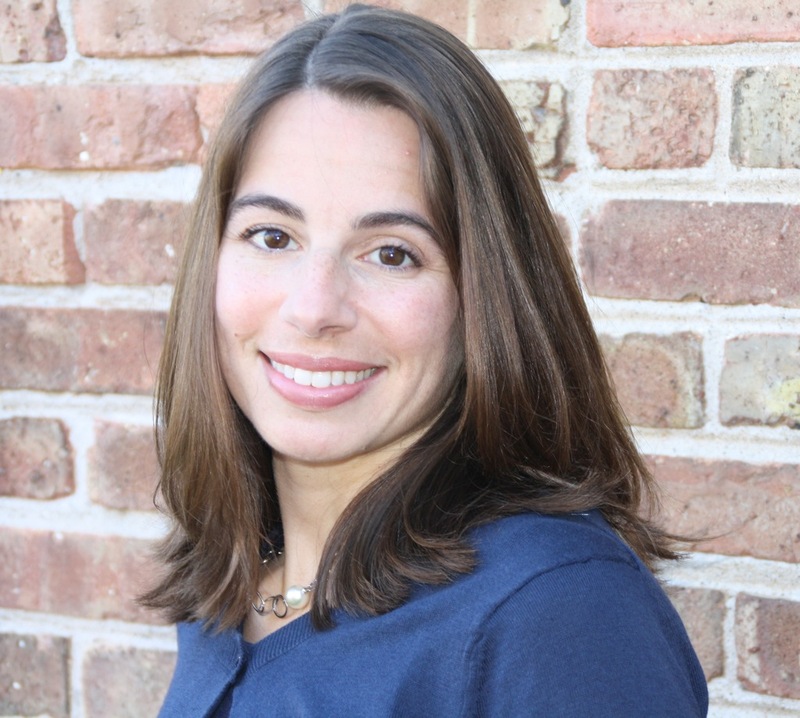 Today’s blogger is Dr. Alison G. Dover (@AlisonDover1), Assistant Professor in the Department of Educational Inquiry and Curriculum Studies at Northeastern Illinois University. She writes here in the first of a two-part series to describe research recently published in an article (coauthored by Dr. Dover and Dr. Brian D. Schultz) in The Educational Forum. In Part 1 of this blog series, I described several examples of policies that reflect a broader context of privatized, profit-driven education reform, in which the rhetoric of rigor, accountability, and choice is being used to systematically destabilize public—and teacher—education. In our recent article in The Educational Forum, coauthor Brian D. Schultz and I examine the impact of one such reform: high-stakes, privately operated teacher performance assessments (TPAs) that shift the responsibility for defining “good teachers” from university-based teacher educators with local, longitudinal, and multifaceted knowledge of candidates and their communities to anonymous, external scorers. Virtually unheard of just 3 years ago, the edTPA (the most widely used TPA nationwide) is now being used to evaluate teacher candidates in 656 educator preparation programs across 36 states. Under edTPA, candidates submit self-curated samples of 3–5 lesson plans, approximately 20 minutes of video, samples of 3 students’ work, and lengthy written narratives to an anonymous online scorer. Scorers—who have been “calibrated” to ensure their numerical scores are standardized according to test developers’ requirements—provide numerical ratings, but no feedback, approximately 1 month later. In states where edTPA is required for licensure, candidates who fail to meet the state-determined cut score are not eligible for a teaching license, regardless of all other evaluations of their readiness. Our research challenges the nature, structure, and impact of high-stakes TPAs, their scoring, and the growing industry of TPA-related tutoring services. While edTPA’s emphasis on planning, instruction, and assessment may appear to mirror the elements of effective teacher preparation, in practice, its function as a high-stakes assessment undermines its educative value. By design, high-stakes TPAs narrow and standardize the definition of “good teaching,” equate task fidelity with competency, and artificially decontextualize teaching and teacher education. Rather than fostering candidates’ ability to articulate and enact their vision with the support of a team of school- and university-based mentors, TPAs encourage them to adopt an external and reductive construction of effective practice. The system rewards candidates when they teach toward the TPA rubrics, rather than their own conscience. This carries tremendous risk for our candidates, their future students, and our profession as a whole. What does it mean to be a good teacher? Who should decide? If we are not careful, TPAs will define and delimit this construct on our collective behalf. KDP is proud to partner with Routledge to share Dr. Dover and Dr. Schultz’s article free with the education community through February 29, 2016. Read the full article here. Chicago area teachers, preservice teachers, and teacher educators are invited to continue the conversation about edTPA at DePaul University’s Winter Education Issues Forum: Taking a Critical Look at the edTPA. This year’s forum will be held on February 18, 2016, and is free and open to the public. What does it mean to be a good teacher? For most teachers and teacher educators, the answer to that question would include some variation of “it depends.” It depends on our context. It depends on the needs of our students. It depends on the demands of our content area. A good biology teacher might not make a good history teacher; an excellent high school teacher may or may not have the qualities required to teach first grade. Good teachers are able to respond reflexively to a complex constellation of factors. They draw upon their curricular, pedagogical, and professional expertise to identify the best approach for a given teaching moment. They nourish curiosity, evoke engagement, prioritize justice, and challenge themselves and their students to grow within and beyond the classroom. Do you agree? Or would you have defined it differently? Which of us is right? Why? These are the sorts of conversations that teachers and teacher educators have throughout (and well beyond) the teacher preparation process. We are always asking: What are you doing? Why? Is it working? How do you know? What will you change? Through interactions like these, candidates develop and articulate personally, culturally, and contextually resonant visions of themselves as teachers, and begin the challenging work of developing the skills necessary to enact their vision while responding to the ever-changing demands of their students and profession. It’s not easy: candidates grapple with research, theory, and mentorship, experiment with different curricular and pedagogical strategies, and learn from their successes and mistakes. But it is critical practice for the demands of a career in education. Good teaching is a perpetual act of becoming, and good teachers learn how to grow. However, changes to teacher preparation are putting processes like these at risk. We are undergoing a seismic shift with uncertain fallout. The newly proposed federal Teacher Preparation Regulations have met widespread critique for (among other things) their “reliance on scientifically discredited processes of test-based accountability and value-added measures for data analysis” and support of privately run “fast-track” teacher licensure ventures. Well-respected universities are creating online-only teacher education programs, where candidates are evaluated exclusively by video. Citing a “teacher shortage” and the “expertise of individuals in business and industry,” the Alabama State Board of Education recently decided to hire part-time classroom teachers who hold neither undergraduate degrees nor teacher licenses. These policies reflect a broader context of privatized, profit-driven education reform, in which the rhetoric of rigor, accountability, and choice is being used to systematically destabilize public—and teacher—education. It is a changing world. These reforms risk damaging the vital process of candidates learning how to grow in their profession. In Part 2 of this series, I will concentrate on the impact of one such reform: high-stakes, privately operated teacher performance assessments, such as the edTPA. KDP is proud to partner with Routledge to share Dr. Dover and Dr. Schultz’s article, “Troubling the edTPA: Illusions of Objectivity and Rigor,” free with the education community through February 29, 2016. Read the full article here.